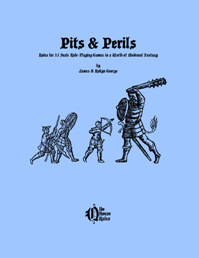 Pits Perilous: The Methodological OSR? 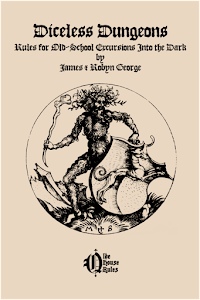 So there's this ongoing discussion (and one fairly recently) about the OSR (Old-School Renaissance) and what it means or should mean, or whatever. And sometimes, it devolves into horrifying exchanges by people who I can only assume labor under the delusion that gaming, however fun, is, well, important. That is, important enough to brutally attack anyone over. Watching mutual friends fight (not debate, that's another matter) over something as trivial as games where we pretend to be elves is sad at best. Usually, it happens when someone insults someone else, and it quickly ceases being about the hobby and more about the fight, which is inevitable. And sadly, I've gotten pulled in myself. "Anything that is from an earlier era and looked upon with high regard or respect." Of course, that's painting in pretty broad strokes. But in tabletop role-playing, it means the earliest state of the hobby and the games as they were played back in the day. 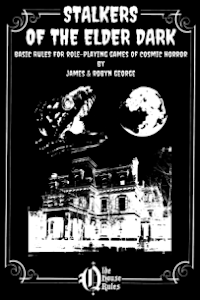 So yes, OD&D is old-school because it was the first commercially available role-playing game. It's all a matter of timing, and if Shadowrun were (somehow) the first published system, we'd be calling that old-school. That's not the way it happened, and we can't ignore our history. But I point this out because it shows just how subjective "system-as-old-school" can be. This matters a lot because the OSR began as a "D&D Preservation Society" committed to resurrecting older editions of that venerable game through retro-clones. Later, this expanded to other early systems, be it RuneQuest, Traveler or whatever. This is fine; moreover, I don't wish to denigrate any of these fine products (we've had quite a bit of fun with some of them, and that speaks for itself). 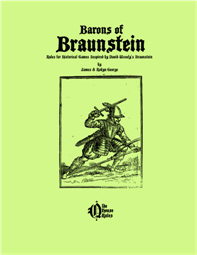 But there are some who want to say that these early games define the boundaries and parameters of the OSR, which I'm not so sure about. To these gatekeepers, the OSR means retro-clones of early games, like White Box, or variations, be it Lamentations of the Flame Princess, White Star, or whatever. And there's something to this, actually. Back in the day, D&D was the common language, and each campaign, with their innumerable house-rules, was a regional dialect. Sure, it's sometimes hard to hear through a thick southern drawl. But once you get the hang of it, you realize everyone is still speaking English. So yeah, this element really preserves something of the old-school environment and much of what I personally remember from 1978. Call it the methodological OSR. And yeah, this rightly matters because, as at least one gatekeeper put it, you can't just stamp "OSR" and anything and pass it off. Sure, I'll concede the point. I mean, the OSR has to stand for something, am I right? But then, are specific systems the only thing about the hobby that can be old-school? What about the assumptions, approach to subject matter, and design philosophy of the early games. Can't they also be considered old-school? Especially since they can change (and obviously have). I mean, 4th Edition D&D isn't an OSR game. But why not? Now, some have balked at these things as irrelevant. For instance, the division of labor between the GM and the players was there from the start. Technically, it's old-school. But we're still doing this today and in contemporary games. Even so, this fact is pretty much inevitable. Homo erectus was an old-school human, but their genes live on in homo sapiens because it's an evolutionary process. And I shouldn't have to point out that many newer systems (story games, in particular) are veering hard from this model. (1) The rules were just a guide for the referee to build their own campaign. (2) Greater emphasis was placed on personal decision-making and problem solving, and conscious effort was made not to automate these processes with spot checks (or whatever) whenever possible. These were games of strategy, after all. (3) The referee had the final say because their job was to create a believable world, and this meant putting many things beyond the players. And if the players hoped to change things, they had to do it through their characters and the choices they made by proxy. (4) Things were approached from the perspective(s) of those living at the time. 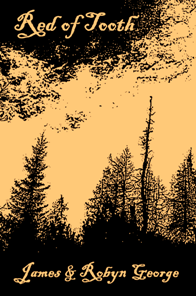 Believe me, four decades of role-playing has given rise to many abiding conventions; among them, the idea that dwarves are miniature Vikings with a Scottish accent. But back then, dwarves were more often based on the stuff of 19th century fairy tales. You know, impish little people with colorful cloaks. Look at the elf on page 32 of OD&D's Men & Magic booklet or the various depictions in TSR's Swords & Spells. 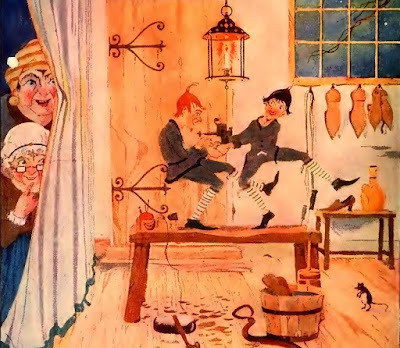 It was all tasseled hats and curly-toed shoes because back then, that's the antiquated lens we saw demi-humans through. (5) And finally, production was amateur and primitive because that's all one could do. But it nonetheless paid big dividends. It felt accessible, like a peer-to-peer exercise. Would this be old-school? Maybe. Maybe not. But if so, it belongs in the OSR! Now obviously, quite a few modern games embrace at least some of the above and do so deliberately. And, not surprisingly, many appeal to fans of the OSR. So let's turn the hat over, shall we, because if you're a game publisher who does this by design, you'd be out of your ever-lovin' mind not to reach out to the OSR community. After all, its devotees are more likely to appreciate your approach. Oh, and buy and play your games! That said, if you're designing specifically to appeal to these sensibilities, you belong to a wing of the OSR, even if it's just its philosophical wing. But then, our foundational principles matter. So is the OSR a methodological or philosophical thing? In the end, I'd argue that it's both! Excellent stuff. I've been playing a hybrid of D&D and Dungeon World/Freebooters on the Frontier. We call is "d12 World". 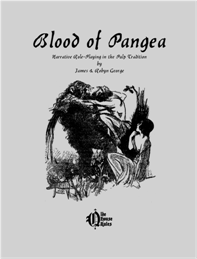 It's OSR in that it uses the tropes and rules-as-guidelines essence of OSR D&D, but under the canopy of a no-prep/emergent storytelling (non-strategic, except situationally)/unified PbyA mechanic. I like to think of it as "Post-OSR" gaming. My first experience with D&D was through the Rules Cyclopaedia'; we had attributes, HP, AC, thac0, or roll to hit, either way; you start as a bum and try to survive / thrive. The GM / players didn't need a ruleset once you got the basics above. Everything else was ad libbed...I think of this as old-school. Modern I think of as video game emulation for frpg, that is, heavily influenced by videogaming as we were by trashy fantasy, HeMan (or SheRa!) and Tolkein. Modern seems to have rules for everything. My original group really tried to play PF, but wow, rules everywhere...but stripped down, it was the and, so we just went on with the usual, as you say very correctly, regionalized house rules. O wow, I had forgotten how often (not very) and for what (spells and monsters) I had to pull books out for. Combat and charaters...those were the only rules! 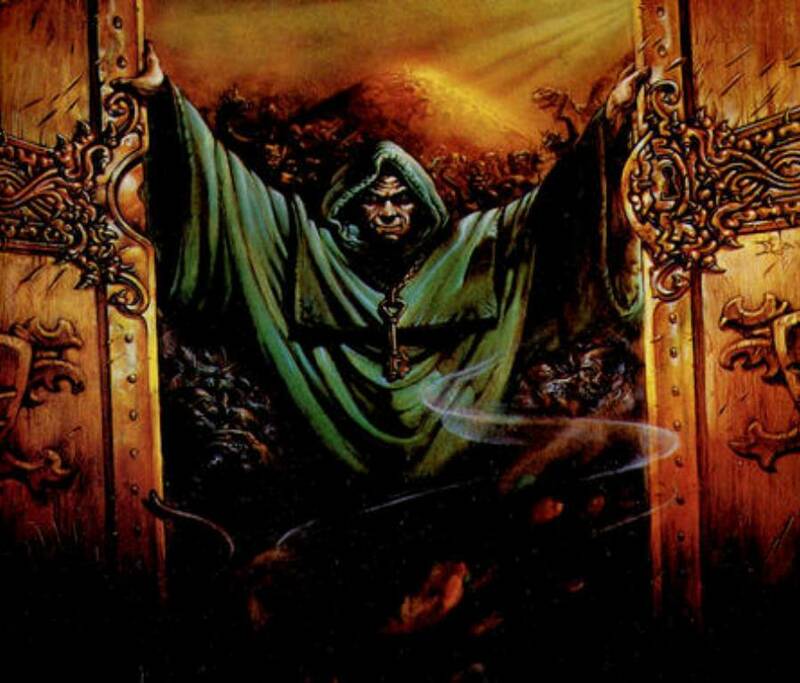 The OSR has gatekeepers? And here I thought they let just about anyone in! Sheesh! I'm GMing White Star now, and it feels a lot different from any other SF game I've ever played. It even feels a lot different from D&D, to me - but knowing I can patch in bits of a million D&D variants to fill any gaps I want (morale & reaction, ship trading, treasure generation, even dungeon generation), knowing that "1 credit" is "1 gp", with all that means, is a huge psychological assist.